Cape Town - Baroka chairperson Khurishi Mphahlele insists that the club will not replace coach Wedson Nyirenda with former incumbent Kgoloko Thobejane despite poor form. Bakgaga are currently battling against relegation and are in 15th place in the standings. The side have 21 points and are locked in a battle with the likes of Maritzburg United, Chippa United and Free State Stars for survival. Nonetheless, the club are sticking with Nyirenda who earlier this season helped the outfit from Polokwane defeat Orlando Pirates to win the Telkom Knockout. Speaking to LimSportsZone, Mphahlele said: "Wedson Nyirenda is a seasonal coach, he knows what he is doing, he is an international coach. "You cannot compare him to Kgoloko Thobejane. Kgoloko Thobejane doesn't have anything." 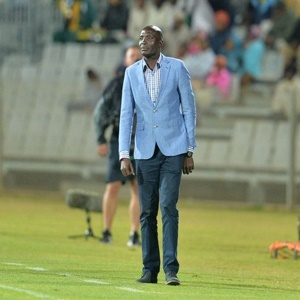 Thobejane was sacked by Baroka in February 2018 after he allegedly was found guilty of drinking alcohol in the team bus following a defeat to Free State Stars. Since his dismissal, the mentor has remained out of the game and is no doubt seeking a return in the near future.